Last October, the AIA Continental Chapter held its bi-annual conference in North Cyprus. This May, it followed up the Mediterranean theme with a conference in the south of France – but, from the start, the country differences could not have been more evident. Even the economy bus from Nice airport to Menton could not avoid the glamorous French coastline, teeming with residences and hotels of all sizes and styles from the merely functional to the Grimaldi inspired. Tourists thronged the streets of Monaco as it prepared for its upcoming Grand Prix. The Mediterranean simply sparkled while millionaire yachts bobbed about and looked bemused by all the fuss. So what - amongst all this hustle and bustle - had Continental selected as its own particular take on “Treasures of the French Riviera”? Well, Menton itself for a start. Nicknamed the "Pearl of France", it proved a quieter, gentler antidote to Monaco with an historic old town reached by steep stairs and a long line of accessible beaches. Its modern building of note - the Cocteau Museum (architect Rudy Ricciotti) – hosted the opening reception. 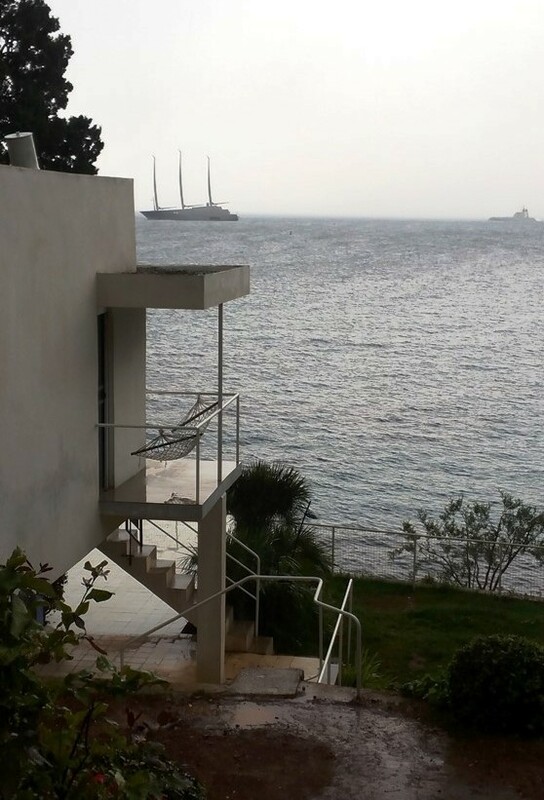 The first full day of the conference was devoted to Cap Modern and Eileen Gray’s modern Villa E-1027 (familiar to followers of the UK Chapter’s movie nights from its showing of “Price of Desire” last year). Attendees were lectured on the history, significance and renovation works at Cap Modern and given a private tour of Villa E-1027 plus Le Corbusier’s nearby “cabanon”, work hut and holiday cottages. Despite the cold and wet weather (that promise of the sparkling Mediterranean not having held up overnight) the site with its memories of past personalities could not help but intrigue. As brilliant weather returned for the second day, the conference progressed to three extraordinary gardens of the Riviera – the Val Rahmeh Botanical Garden and the Serre de las Madone Gardens (landscape architect Laurence Johnston) both in Menton and the Hanbury Gardens across the border in Italy. The third day saw the departure from Menton and took the group to two further treasurers. The Matisse Chapel was an unexpected delight – a little space of pure joy and light. The Fondation Maeght (architect Josep Louis Sert) housed an extensive modern art collection, but its prime charm was the building itself it its garden setting, including the renowned Labyrinth of Miró. The list of personalities influencing the venues was long and strong – Architects Eileen Gray , Le Corbusier and Josep Louis Sert; English gardeners Sir Thomas Hanbury and Laurence Johnston; French artists and designers Jean Cocteau, Joan Miró and Henri Matisse – and gave the conference a feel for cultural as well as architectural treasures. The Menton conference was organized by CE members Isabel Meinecke, Int’l Assoc AIA, and Ray Spano, AIA, with assistance from several other CE members. There were 16-17 CEUs on offer, including 4-6 HSW units, enjoyed by the 5 AIA UK attendees. The next CE Conference will be held in Prague, Czech Republic, 5 – 9 October 2017. This conference will be a larger event held in conjunction with the International Region and attendance is expected to reach capacity early. If you are interested in attending, you are advised to register as early as possible to avoid disappointment. Lunchtime Webinar Report: Consultants – Is your duty of care under attack?